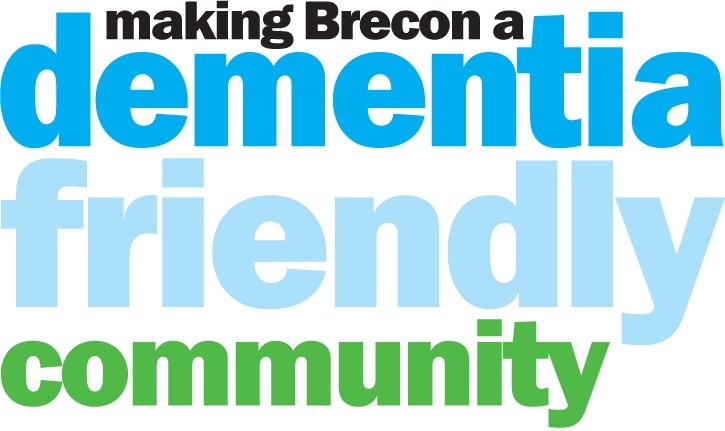 Who is involved: In June 2013, a group of like-minded individuals, with Brecon Town Council and Alzheimer’s Society, held a public meeting which explored the idea of making Brecon a ‘dementia-friendly community’. A community-led steering group, made up of carers, committed individuals, health and social care professionals and a range of other community and voluntary organisations, was constituted as a not-for-profit organisation by April 2014, enabling them to enrol members and raise funds. At the same time they established a local Brecon Dementia Action Alliance bringing together regional and local members to improve the lives of people with dementia. This currently (November 2015) includes Brecon Medical Practice, Powys Health Board, Brecon Library Service, Dyfed-Powys Police, Brecon Mountain Rescue, Brecon Beacons National Park Authority, the local Fire Service, Barclays Bank, Lloyds Bank, a local mental health NGO (Mind) and Brecon Theatre. Nature of activity: The mission of this partnership is to create a social movement that mobilizes all sections of the community. 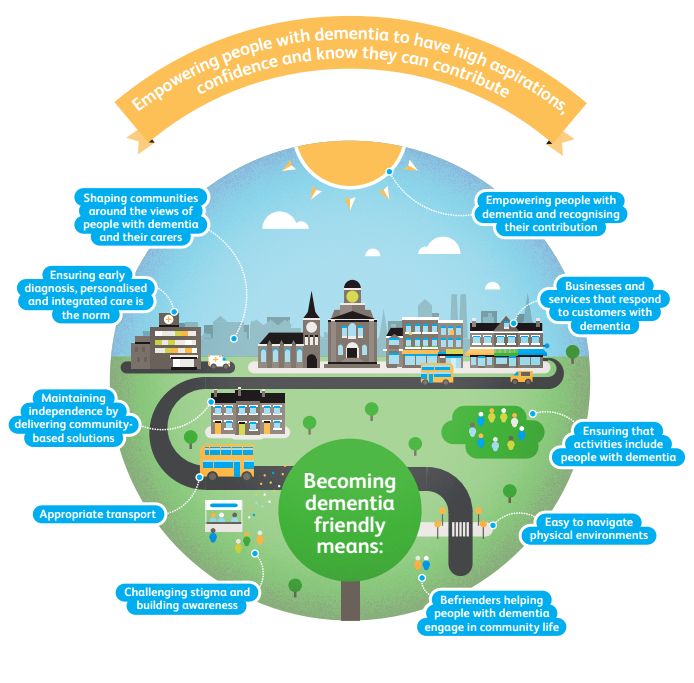 They want to challenge the myths and stigma around dementia, increase awareness and understanding, support and promote social inclusion, and most importantly give a voice to people with dementia and their carers so their needs can be fully recognized and the appropriate support offered.